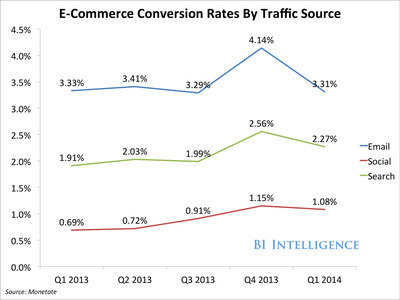 Social commerce conversion rates are undeniably low. Sites like Facebook, Twitter, and Pinterest trail email and search in terms of the number of visitors who click on a post and make a purchase. 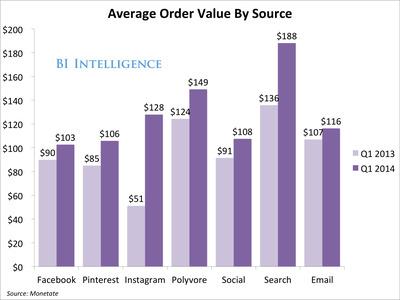 But social still has a potent influence on consumers’ decisions further along the “purchase funnel.” Evidence shows that paid and organic posts on social platforms drive sales completed online and offline later on. 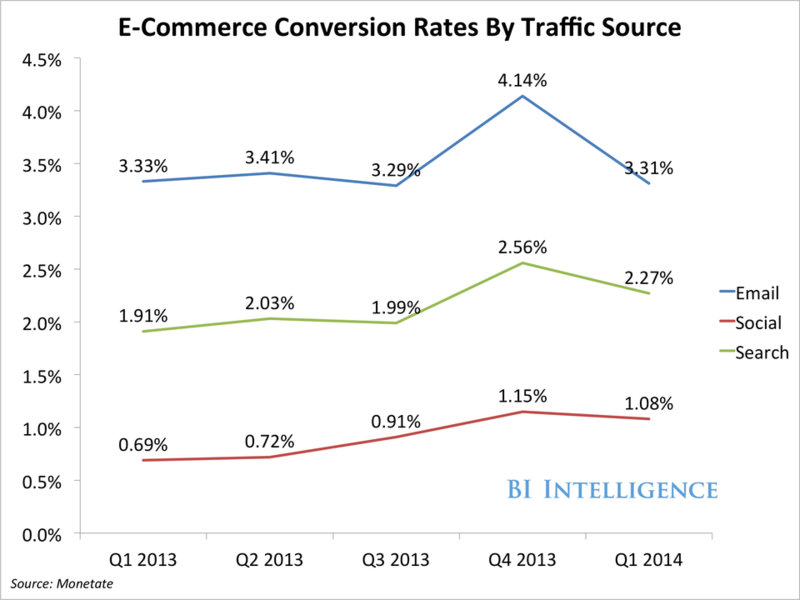 Social commerce is growing quickly:The top 500 retailers earned $US2.69 billion from social shopping in 2013, according to the Internet Retailer’s Social Media 500, up more than 60% over 2012, while the e-commerce market as a whole grew only 17%. For full access to all our reports, downloadable charts, and daily briefs on the digital media industry, sign up for a trial membership.